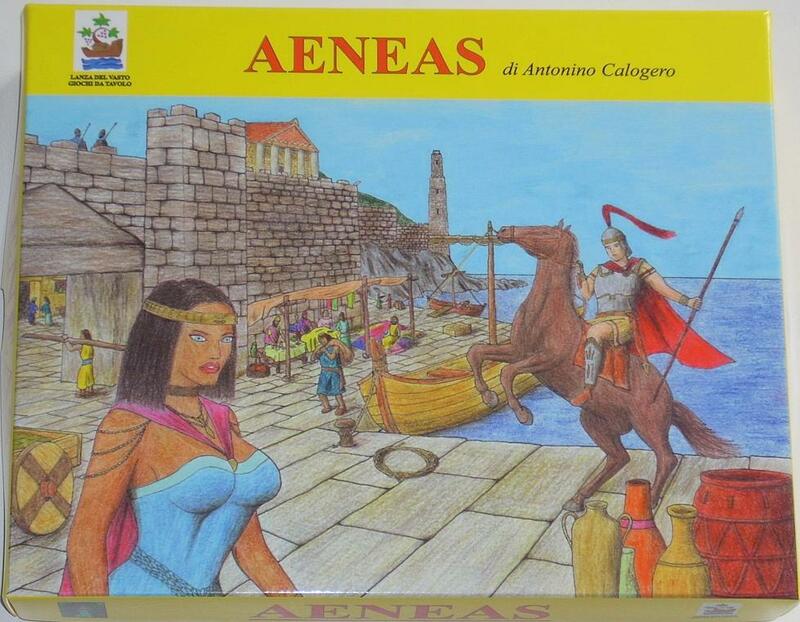 AENEAS is a board game set in the mythological and epic world of the “Aeneid”, the ancient poem in which the Trojan hero Aeneas, escaped from his burning city, travels adventurously for many years in the Mediterranean sea in search of a new land promised by the gods. Each player is a hero, and each player struggles for different goals. The player who achieves his goal as first is the winner of the game. The characters are secrets (but not all) and everyone has to find out who is his enemy and who is his ally, using intuition, diplomacy, dissimulation. 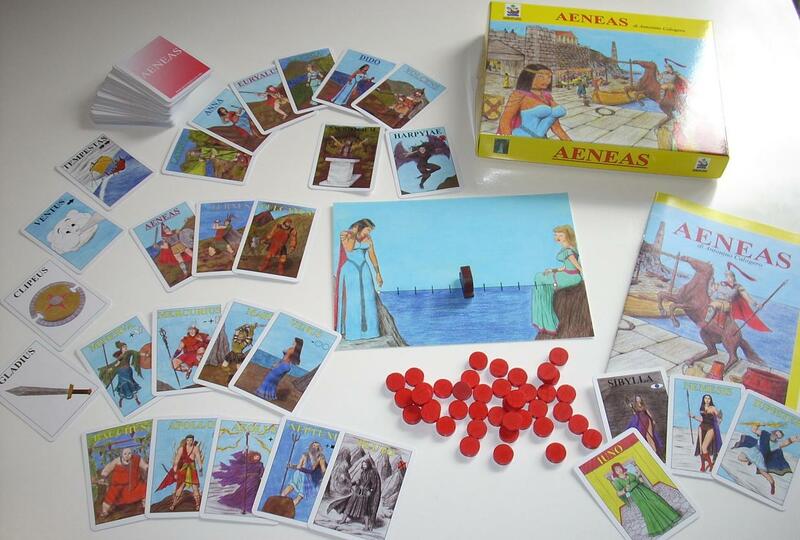 Each player uses attack and defense cards, trying to keep his life and moving the Aeneas’ ship on the game board with winds and storms. 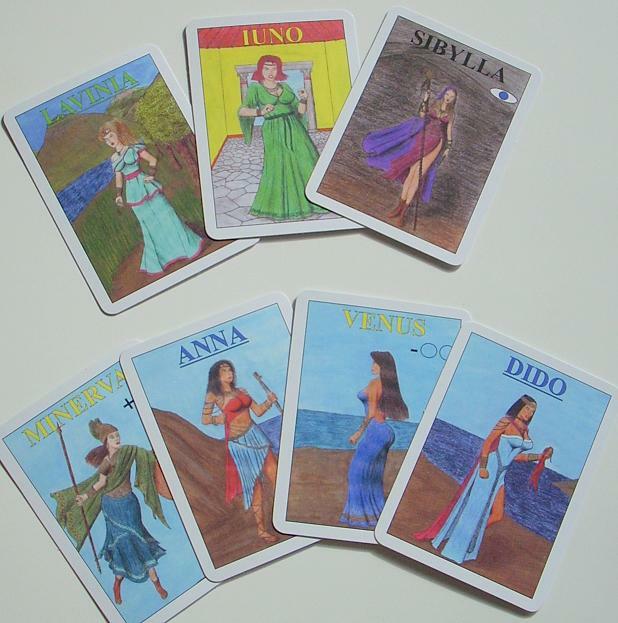 Players can also use the god cards with different powers and opportunities. 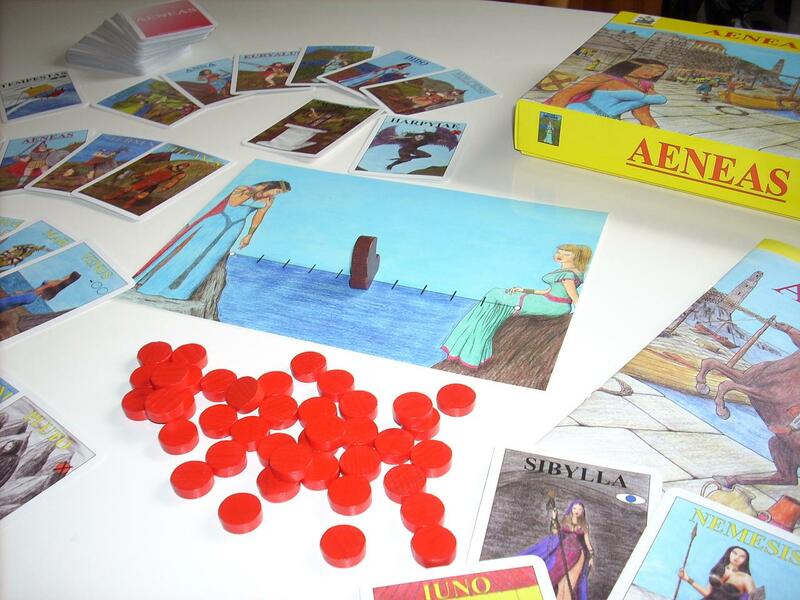 AENEAS is a game full of high-voltage emotional twists till the end. Publisher: Lanza del Vasto, Italy. 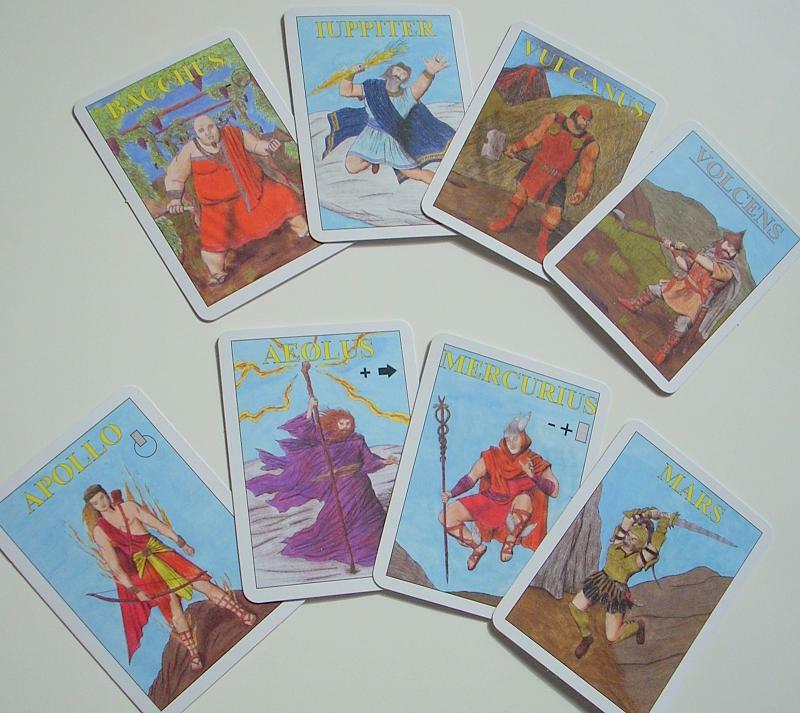 Rules in Italian, English, French and German. The game has no language dependence.